Lone Wolf was appointed Chief of the Kiowa in 1883 and served 40 years until his death in 1923. 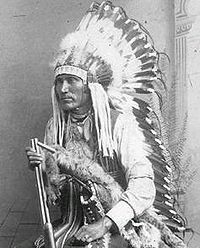 Prior to becoming chief, he was a fierce warrior named Mamadayte who survived the Battle of Washita, in which General Custer surprised and overcame Black Kettle, Chief of the Cheyenne. On Dec 23 1873, the only son of Chief Lone Wolf the Elder, 19 year old Tau-Ah-Kia, was killed in South Texas. Riding iwith him at Mitchell Co. Texas was a boyhood friend, Mo-ma-day who retrieved his fallen friend, Tau-Ah-Kia, and buried him according to Kiowa Custom. In 1874 in Greer County, Lone Wolf II, with a band of Comanche warriors, fought Major William’s men under command of Col. G. F. Buel, in his last battle with the United States. Auxiliary chiefs were Gotebo, Komalty, Ahtape, and Spotted Bird. 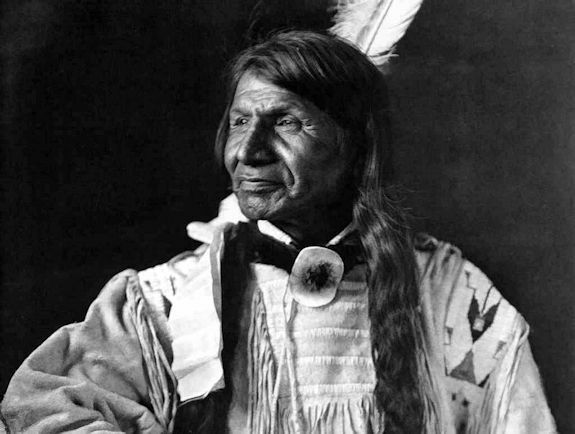 In 1879, he was adopted by the elder Chief Lone Wolf based on his bravery in battle. The town of Lone Wolf, Texas in Mitchell Co. Texas is named after Lone Wolf I (GUI-PAH-GO). The town of Lone Wolf, Oklahoma is named after Lone Wolf II (MO-MA-DAY). Chief Lone Wolf I was a signer of Treaty of Little Arkansas. QUO-PAH-KO, which is engraved on the younger Lone Wolf’s gravestone, refers to the band of Kiowa Indians who were present for the signing of this treaty. Lone Wolf I died of malaria the same year and lies buried in an unmarked grave on the north side of Long Horn Mountain east of Kiowa County, Oklahoma. In boyhood Lone Wolf II saw U. S. soldiers forbid the Sundance and the Kiowa warriors withdrawn from the banks of the Wichita River. Their medicine lodge was deserted and their sacred Sundance tree left standing alone. That aborted Sundance held in 1884 is still known to the Kiowas as “The day the forked poles were left standing.” The Chief saw a way of life end and a new way of life beginning to take root. In 1901, while serving as the Kiowa Chief, he filed a lawsuit on behalf of several tribes, opposing opening Indian Territory to white settlement. In his suit filed at El Reno , Lone Wolf v. Hitchcock 187 US 553 (1903), which was decided by the Supreme Court. 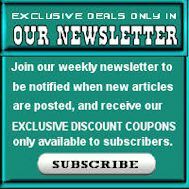 He charged that Native American tribes were being defrauded of their land by acts of Congress, in violation of the Medicine Lodge Treaty. Clinton F. Ervin, Judge of the Territorial Federal court tore up the application and denied the request of the Kiowa Chief. Lone Wolf then made a trip to Washington, D.C. to see President McKinley hoping to stop the opening of the lottery, but the president declined to intervene. The Kiowas were given one hundred sixty acre allotments along the Elk Creek bottom lands. He saw his domain that originally covered Oklahoma, Kansas, Texas and parts of Old Mexico shrink to a mere 160 acre allotment. Even though he lost the law suit, a landmark case, he led his people in adapting peacefully to the white man’s culture. He was the last of the recognized chiefs of the Kiowa. After his death there were no real chiefs. The Democrat newspaper in Chief Hobart, Oklahoma published Lone Wolf II’s obituary in 1923, giving the details of his death at age 76.